From demure housewife to bloodthirsty goddess, gurgling infant to elephant man, meditating sage to cosmic fire-eater, Hindu mythology illuminates a mind-blowing world of radical transformations. 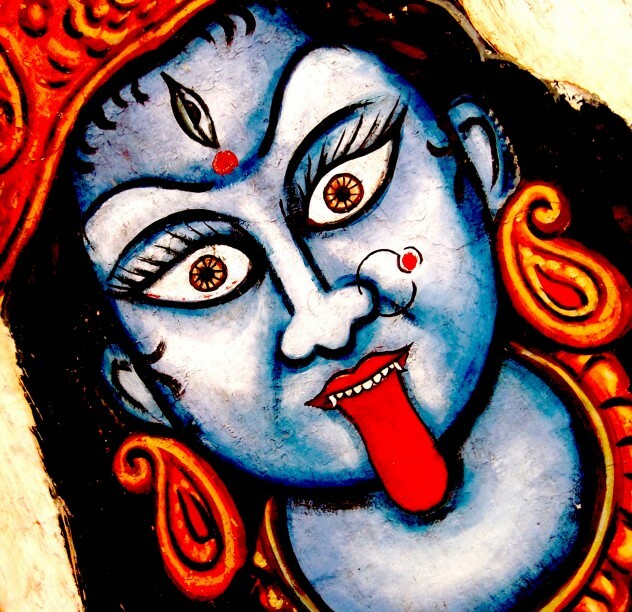 Kali is one of the wildest shape-shifters of all. Demon-slayer, Life-saver, Supreme-Mother, Destruction-dancer, this goddess is truly Awesome. Storyteller, Emily Hennessey, takes the wheel on a white-knuckled tuc-tuc ride through sun- kissed palaces, fiend-infested forests and every cacophonous saffron-scented marketplace inbetween. Work and extensive travel in India have kindled in Emily a great love of Hindu mythology. Emily has travelled over 10,000 miles across India by train, bus, rattling rickshaw and rickety bicycle. She has lived and worked with a yak-herding family on the Tibetan plateau, studied Kathakali dance-drama in Kerala and spent several months at the Kattaikkuttu School in Tamil Nadu, learning from the children who perform stories from the Mahabharata through music, dance and song from the age of 4. Emily came to storytelling while studying Drama & Theatre Studies at the University of Kent where she met storyteller Dr Vayu Naidu. Emily completed a storytelling apprenticeship with Vayu, and later trained with Ben Haggarty. She’s also had the privilege of training with Indian Pandvani performer, Ritu Verma. 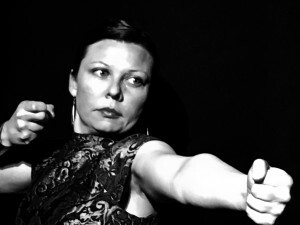 Emily has toured in India with the British Council and performed at the Kathakar Storytelling Festival in Delhi. Other recent performances include the Soho Theatre, the Royal Opera House and Beyond the Border Storytelling Festival.